Gunung Bukittunggul is the highest peak in the mountainous area north of the city of Bandung, higher than both Tangkuban Parahu and Burangrang which lie further west. It is a major landmark when seen from other hills in the Bandung area and can be easily reached and climbed as a daytrip from Bandung or even Jakarta. Whilst there are no views to be had at the forested summit, the trek is not yet as hugely popular as most other significant peaks surrounding Bandung so if you are searching for relative solitude then this is a great choice. 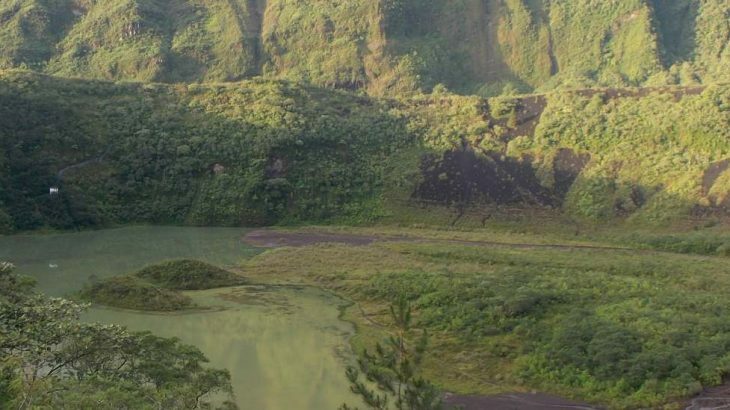 This Ribu is a huge and complex mountain massif consisting of Talaga Bodas lake and Kawah Saat dry crater in the north, Galunggung crater in the south and the highest peak, Gunung Beuticanar, lying inbetween, amongst a long ridge of forested peaks. 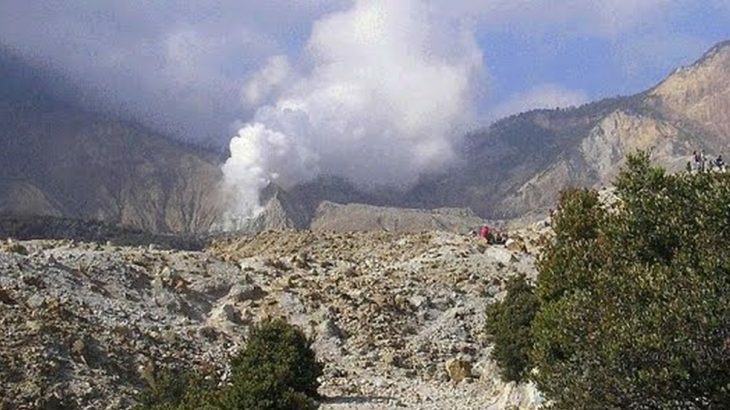 An enormous eruption in 1822 caused many casualities and the last large eruption was in 1982 when a plane was forced to make an emergency landing after its engines filled with ash. Today, however, Galunggung crater seems relatively calm. 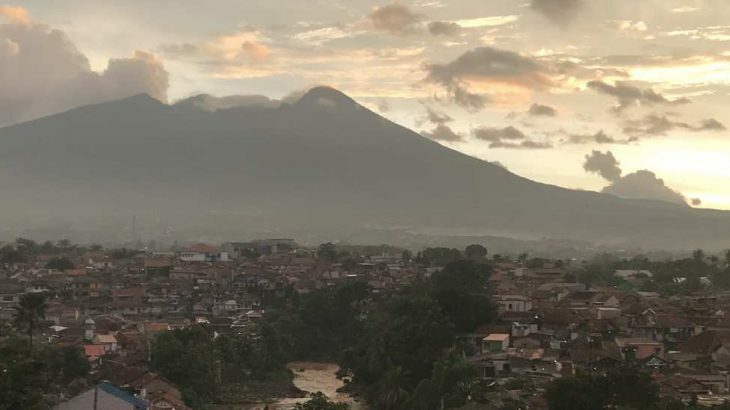 This Ribu is located about one hour’s drive from the town of Garut and actually has a car park at over 2,000 metres above sea level on the edge of the active craters. 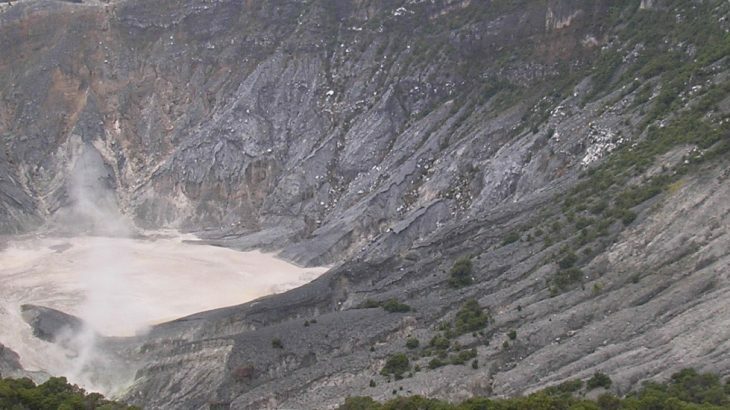 There is an alternative route to the mountain from Cileuleuy and Pangalengan but the approach from the main crater is by far the easiest and most popular. 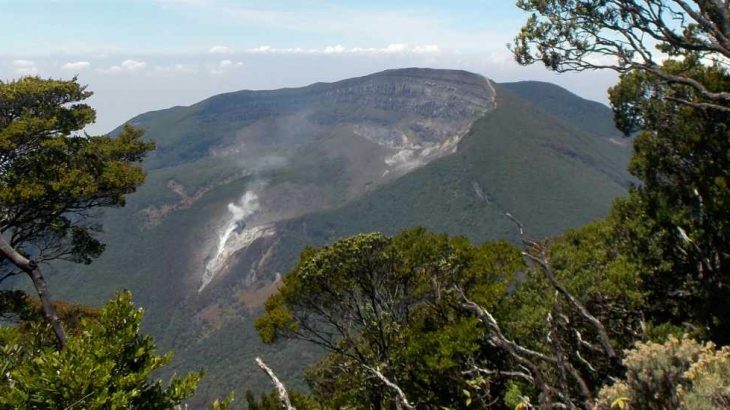 The scenery is some of the most spectacular and varied in West Java and the active crater attracts a lot of tourists. 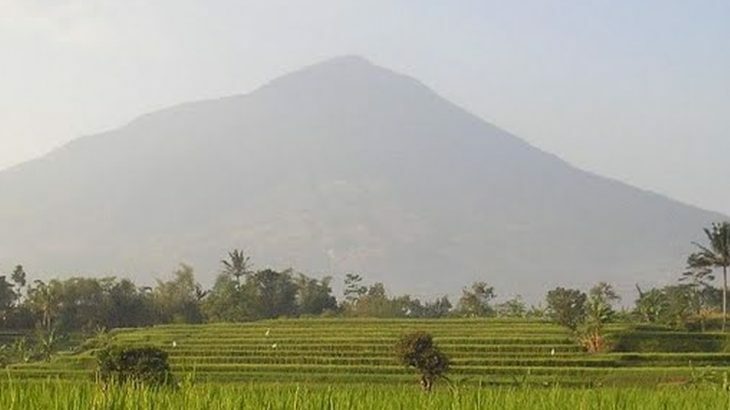 Gunung Parang is one of the most interesting peaks in Java. 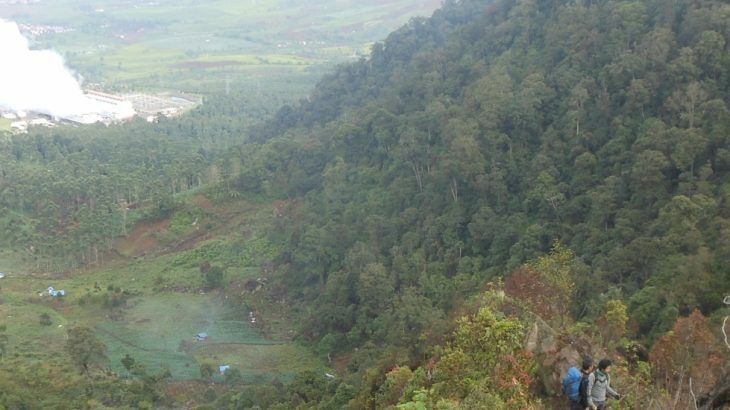 Despite being clearly visible as a jagged rocky ridge from the Jakarta-Bandung toll road, up until recently it was something of a secret, generally known only to Indonesian rock climbers. From some angles it very closely resembles the famous and unusual Scottish mountain Suilven. By 2017, things have changed and this fabulous and accessible mountain is finally getting the recognition it deserves. 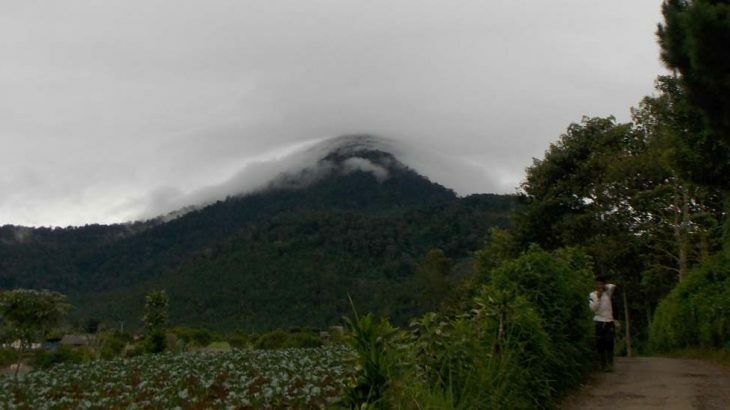 Wayang-Windu is a twin volcano that consists of Mount Wayang (“Mount Shadow”) and Mount Windu. 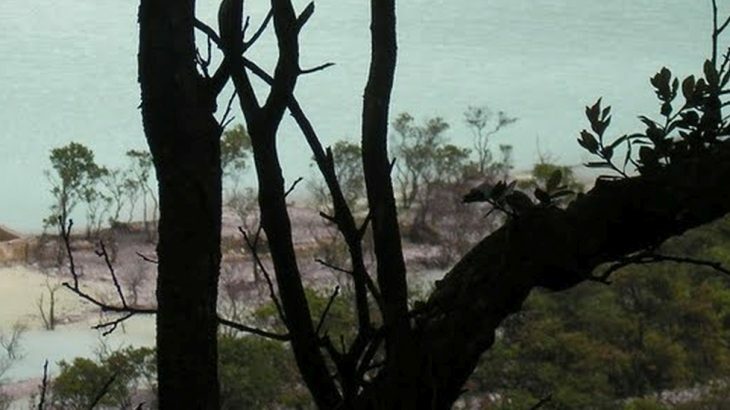 Wayang is the higher of the two peaks and, although both peaks have active side craters, Wayang is the more interesting. The northern ridge offers some of the most demanding hiking terrain (and most fabulous views) in the whole of West Java. 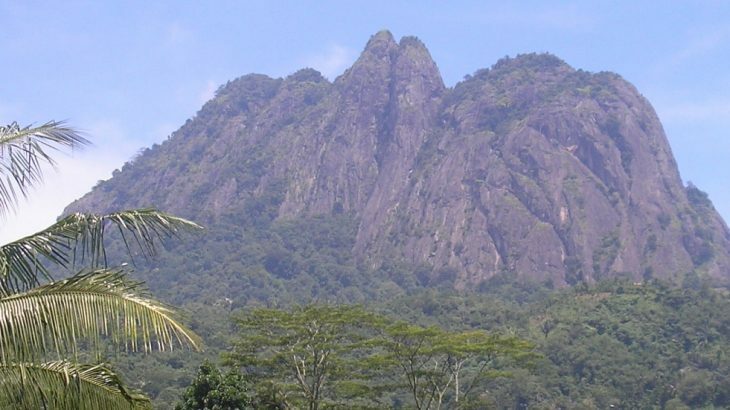 Legend has it that an emperor from the ancient Sundanese kingdom of Pajajaran is buried on the middle peak.